I have paid particular attention to “nationalism” over the past month. Various perspectives have presented themselves. At the beginning of August I traveled in South Africa and at the end of the month the memorial to Senator John McCain dominates public attention. While in South Africa I visited the Apartheid Museum and the Mandela “Capture Site”. During the apartheid era, South Africa perpetually and harshly denied majority rights. African friends of mine at the University of California, Davis back in my graduate school days predicted a blood reckoning once apartheid was defeated. 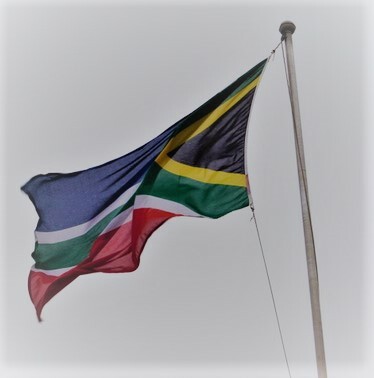 Through the fortunate leadership of a great man (men) and an astute appeal to better natures, the peace largely held and South Africa endured as one nation. Specific efforts such as the Truth and Reconciliation Commission attempted to provide accurate information, justice and importantly conditioned mercy. As Tony Leon a leader of the opposition chronicles in his book Opposite Mandela Encounters with South Africa’s Icon, the efforts were only partially successful. Mr. Leon wrote that though there was much controversy about the conclusions he demonstrated an important national perspective. On August 24th, the Wall Street Journal presented an essay “The Liberty of Nations”. Nationalism is often used as a pejorative. It is denigrated as a shallow and narrow construct, subject to being captured by bigoted, ignorant groups. Nationalism and nativism are used in conjunction. It is used to denote intolerant movements such as white nationalism. How can any word survive such bad company? Nationalism: Disordered Habit of Mind? Yoram Hazony’s article in the Wall Street Journal provides background and context regarding nationalism. He refers to George Orwell who regarded nationalism as a disordered “habit of mind.” His criticism emphasizes the exclusivity of the nationalistic concept where there is a single identity which treats the particular nation as beyond moral reproach which only advances that nation’s interests. Mr. Hazony expands upon anti-nationalist authors when he reviews Elie Kedourie and his 1960 book Nationalism. Kedourie determined that nationalistic agitation precipitated many of the 20th Century mega wars. His analysis is built upon the relationship of national borders to majority and minority populations. This critique draws much from the relatively recent history where minority populations in many countries have been attacked by nationalistic majorities. But Nelson Mandela provides a good contrast. The nationalistic identity does not have to be tribal. The key to an effective national experience is power sharing. It is best developed when there is a compelling sense of cohesion within the nation. Cohesion can be accomplished when there is an increasing sense of shared identity. This may be through joint development programs that emphasize national identity, or a unified common history which has built trust and rapport and in which truth and reconciliation is the overriding goal. Most recently in America we appear to have advanced and then retreated from national trust and rapport. For Americans to advance culturally, socially, and economically our beneficial common history must be featured. Unified joint action is required to advance our history. We need to evaluate carefully whether we want to revisit a history of fire-eaters and abolitionists where all parties were pulled into a deadly tribal division. The result after the Civil War freed 4,000,000 enslaved Americans at the cost of around 620,000 battlefield deaths. Though immense sacrifice there was great progress in freeing Americans from slavery. Relatively soon thereafter we retreated into an amnesia with no durable reconciliation achieved over many generations. All the implications of this calculus has yet to be fully resolved, but undertaking our own American truth and reconciliation initiative may well be beneficial. It must address all aspects of our national discontent. It must be grounded in a unifying American cause greater than ourselves. A special kind of leadership will be required to unify Americans to this purpose. But, we have always had so much more in common with each other than in disagreement. If only we remember that and give each other the benefit of the presumption that we all love our country, we get through these challenging times. We will come through them stronger than before. We always do. Some call it nationalism other patriotism. I believe it is both – they are best symbiotic having reinforcing elements. If we are to build the nation, we much launch common endeavor, requiring service and commitment, but introducing us to each other and advancing the fruits of our common effort. This effort may not financially enrich ourselves immediately, but we should be able to see our communities and our nation advance, providing increased opportunity and achieving the object of providential hope for the broader American community. During this election year, J.D. Vance’s book Hillbilly Elegy has been received as providing insight about Appalachian people. With some solidarity they supported Presidential candidate Donald Trump during the primary season. In the blog amendoon we have discussed Appalachian heritage. One article “Encrypted Appalachian” documents my own family’s travel from Southeastern Tennessee to California in the early 20th Century. “Encrypted Appalachian” considers values that support resilient actions. The essay also observes Appalachian cultural actions do not appear to advance transformational educational opportunities. This is similar to the engaging story presented by Mr. Vance in Hillbilly Elegy. He presents a heritage and a daily existence full of violence and alienation. He overcomes it by perseverance, intelligence, Marine service, prodigious college academic performance, support by strong women, and a Yale Law Degree. Culturally, many Appalachians have sought a better life. Often they have not been agile enough to overcome economic displacement from industrial change. They have remained tethered to their mountain life-style. As J.D. Vance documents incidents of substance abuse and strong personalities predominate. In the older Appalachians there is often a strong individuality but basic decency. I have always tried to advance pride in hillbilly ancestry to my children. They are all upwardly mobile and most of them seem to manifest little interest in their Polk County, Tennessee history. They loved their grandfather who was born in Tennessee, but who lived most of his life in Central California. His lifestyle exhibited so many Appalachian characteristics and he personified Appalachian values such as independence, self-reliance, pride, familism, love of place, and patriotism. These values came from a powerful historical context, which was the migration of the Scots Irish and other Protestant groups into the mountains of Southeast America. I have come to learn that my father was exemplary of a historical tradition that began in America when his Scot (Campbell) and Huguenot (Bodine) ancestors moved from New Jersey to Virginia and then onto Tennessee in the 18th and 19th Century. The journey of the Scots Irish is well documented in an online video the Appalachian people. The context for this was described by Theodore Roosevelt in his work The Winning of the West. ‘The Presbyterian Irish were themselves already a mixed people. Though mainly descended from Scotch ancestors—who came originally from both lowlands and highlands, from among both the Scotch Saxons and the Scotch Celts,—many of them were of English, a few of French Huguenot, and quite a number of true old Milesian Irish extraction. They were the Protestants of the Protestants; they detested and despised the Catholics, whom their ancestors had conquered, and regarded the Episcopalians by whom they themselves had been oppressed, with a more sullen, but scarcely less intense, hatred. They were a truculent and obstinate people, and gloried in the warlike renown of their forefathers, the men who had followed Cromwell, and who had shared in the defence of Derry and in the victories of the Boyne and Aughrim.’” Michael Cullinane, “Roosevelt in the Strangest Places”, http://blog.theodoreroosevelt.org/roosevelt-in-the-strangest-places/, March 24, 2014. Though for his time President Roosevelt was precocious on racial issues dining at the White House with Booker T. Washington in 1901, he nevertheless retained strong opinions about the qualities of races and “people”. (For the complexity and contradictions of Theodore Roosevelt’s views see Edmund Morris, Theodore Rex, pp 52 – 58). 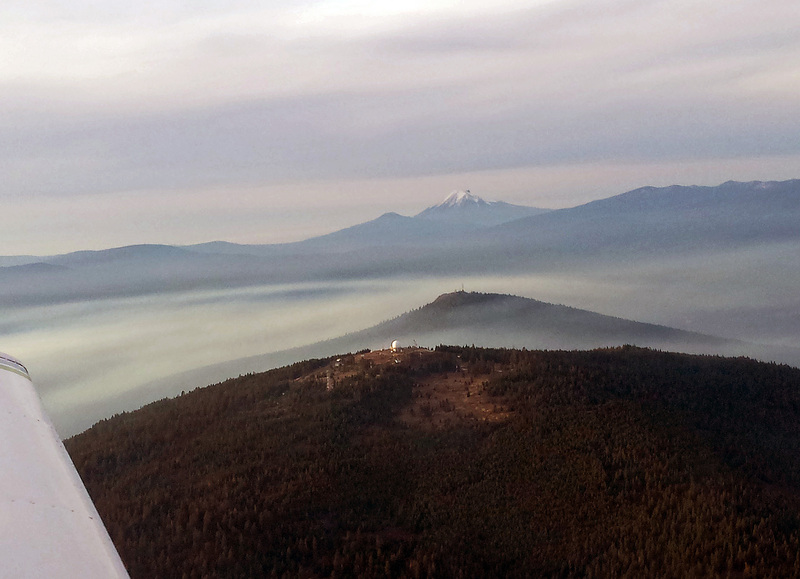 Theodore Roosevelt could see both stubbornness and the ferocity in the mountain people. 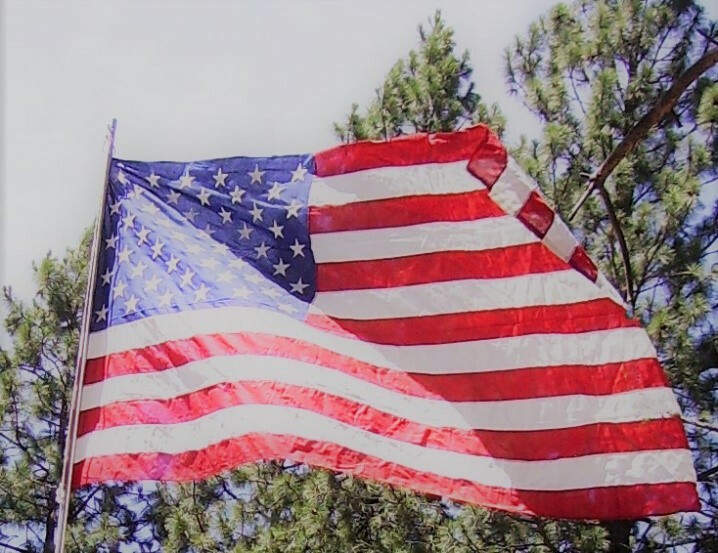 Possibly because of these qualities and historically a larger cultural presumptive focus on them, they were for many years lost to the view of the common American culture. If seen at all, they were the stereotypes of the movie Deliverance and the cartoon Li’l Abner. These diminishing and two-dimensional presentations did nothing to recognize the hearty and resilient qualities of a mountain people. J.D. 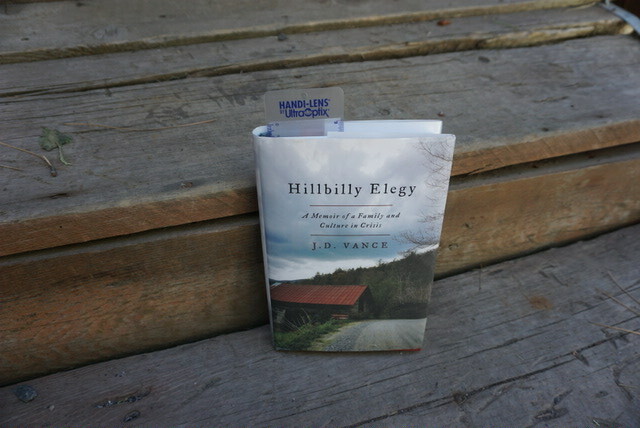 Vance’s book presented a compelling and personal story about hillbilly communities, largely in Ohio and Kentucky. It partially explains their current position as a constituency in the American election. The New York Times’ columnist David Brooks captured this in his column “The Revolt of the Masses”. Appalachian groups have been relatively ineffective in advancing their priorities through public forums. This may be inherent in their lifestyle which is characteristically remote and independent. I am not aware of an established movement that achieves the visibility through public dialogue to advance hillbilly achievements and progress to the general American public. I am not aware of a prominent network of hillbilly anti-defamation and political groups that interact with the media, state and federal entities and non-profits to develop programs advancing hillbilly people. Some publicity from Mr. Vance’s book may help the cause, but it will not directly advance the success of the hillbilly people over more than a media moment. Resilient actions to advance these people are the behavior of individuals or closely associated groups. The hillbilly’s five minutes of fame from Mr. Vance will not necessarily support a stubborn eye on the prize and effective cultural consolidation and leadership. Their most pressing need is to address the “moral and cultural crisis” in their communities. The Federalist makes the point that this pressing need is aggravated by government transfer payments and the lack of mobility among many Appalachian people. The challenge to hillbilly people is both addressing the immediate crisis of their cultural group and simultaneously developing and improving their prospects as a people. I admire Appalachians and hope that their recent publicity may lead to national recognition and possible interest towards solutions for the conditions that afflict them. This will require inspired leadership and concerted organization effort. It will require networked solidarity based upon a compelling prize that addresses America’s willingness to dismiss and denigrate hillbilly people. I am hoping Mr. Vance has an interest in this role because he is intelligent and potentially an effective leader and spokesperson.